Mattress Issue in Thousand Oaks? Known for the beautiful oak tree, an old mattress or used furniture by the road in Thousand Oaks would be an eyesore. Removal and disposal seem like a headache, but now residents and business owners can rely on easy mattress removal with our eco-friendly solutions in Thousand Oaks. Seek help with Thousand Oaks mattress disposal and book Mattress Disposal Plus to remove it for you. Rely on Mattress Disposal Plus – a name you can trust for fast, friendly and secure Thousand Oaks Mattress Disposal. Are you planning a big move in the Thousand Oaks area? Then perhaps, it’s time to consider getting help removing your old mattresses, box springs and used furniture. 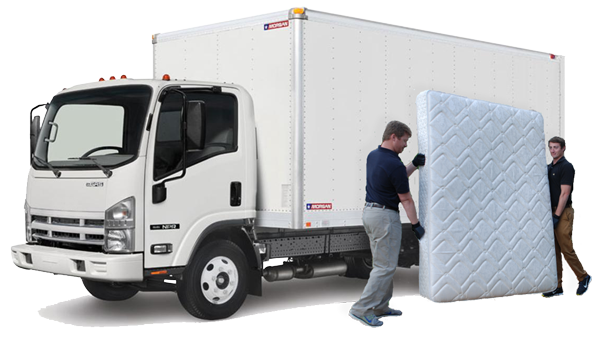 Hire a professional hauler to help with mattress disposal in Thousand Oaks. There are between 20 and 40 million mattresses disposed of each year with the majority of them winding up in landfills. One recycled mattress, can save 65 pounds of toxic material from the landfills and its material contents can be recycled into creating new earth-friendly products. We offer dependable and green recycling pickup in the Thousand Oaks area. We service all types of residential and business properties. Our recycling company is the solution to your mattress recycling needs. The waste from just one mattress can be enough to kill an entire neighborhood of oak trees! Call (877) 708-8329 or Book Online to schedule Thousand Oaks mattress disposal. Once we arrive, we will do all the heavy lifting for your scheduled Thousand Oaks mattress disposal needs. You won’t ever have to worry about how to get rid of your old mattress again. We also offer other hauling services including old furniture. We are proud to offer our clients the satisfaction that comes along with quality and efficient service. We provide easy mattress recycling pickup throughout the Thousand Oaks neighborhoods and metro area. Schedule your home or business disposal pickup with our easy online scheduling. We can help with all of your Thousand Oaks mattress disposal needs. No need to turn elsewhere because customer satisfaction is our main aim. We provide old furniture and old mattress removal services to all areas surrounding Thousand Oaks including Agoura Hills, Hidden Valley, Westlake Village and more.